Before you turn to the fun section, first make sure everything is updated to iOS 11.4. To update your phone, go to App Settings → General → Software Update. As with the HomePod, the update should automatically seek and install at midnight after the update, but you can verify that it has been updated or force the installation itself by switching to the Home app. There you can see if a HomePod update is available, download and install the update, and manage other features for your HomePod. And with a neat option, the home app can automatically detect if you have multiple HomePods and download and install the update all at once. Once all updates are installed, the multi-room audio should be ready for use immediately. To use it, just go to your favorite music app on iOS and start playing music via AirPlay, and then select one of your HomePod devices. Now, with iOS 11.4, AirPlay 2-compatible speakers are displayed in the AirPlay popup with a small box next to them, so you can use multiple speakers at the same time to play the same song from your iPhone. This part works for the HomePod and probably for all the other AirPlay 2 speakers you will find below.
. But with HomePods, there's an extra level of multiroom audio that you can run wherever you can have speakers play independent audio streams over Wi-Fi without having to use AirPlay. For now, this feature is limited to the HomePod and is specifically limited to Apple Music subscribers (though hopefully the Apple TV will also have a similar capability later when it is finally upgraded to AirPlay 2). 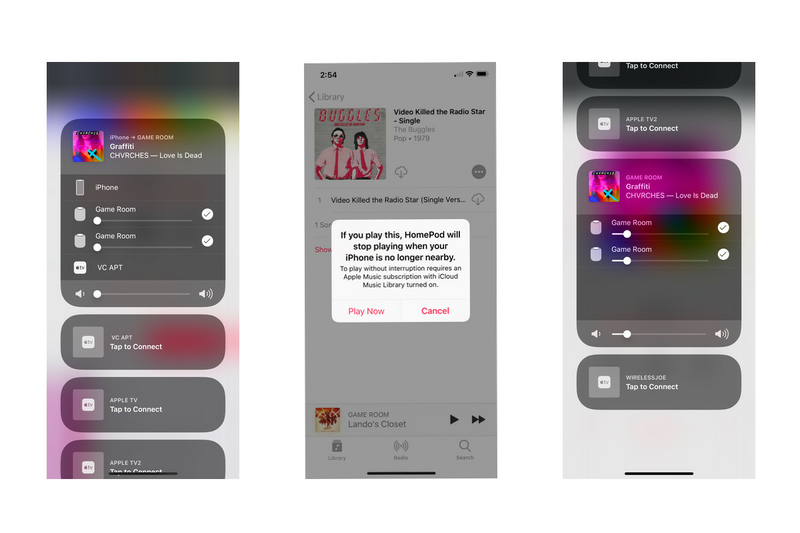 This feature will switch you to the same AirPlay Menu as before – accessed via the AirPlay icon in most music apps or the music widget and then scrolling down to the top of the top locally played song on iPhone devices. There you can select an Apple Music track as the source and play that track with other AirPlay 2 speakers using the same check box as when playing directly from your iPhone. 19659008] If you want to keep your two HomePods together in one room, you can also group them together as a stereo pair. 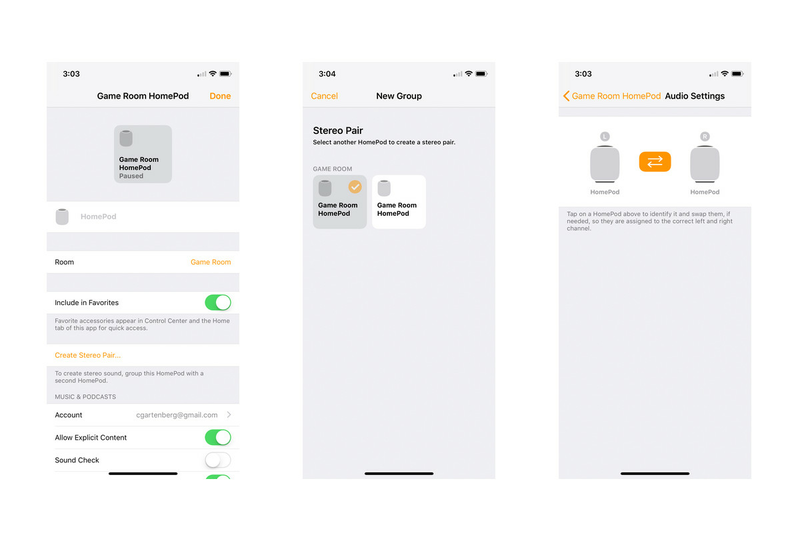 To create a stereo pair that treats the two HomePods as a separate unit for AirPlay and Siri purposes, you return to the Home app Select one of your two HomePods, go into the settings for it and click on "Create Stereo Pair …". Next, you'll have the option of selecting your second HomePod to use to create the pair. Once selected, you will be taken to a second screen to confirm that the left and right channels are correctly selected. If you tap on each HomePod, it will light up with a gong to make sure it's set correctly, it can easily replace it with another faucet – after that, you'll be fine. When paired, the left HomePod becomes the "main" device that handles the microphone tasks for Siri requests (which is probably not significant since both speakers are in the same room in this case). 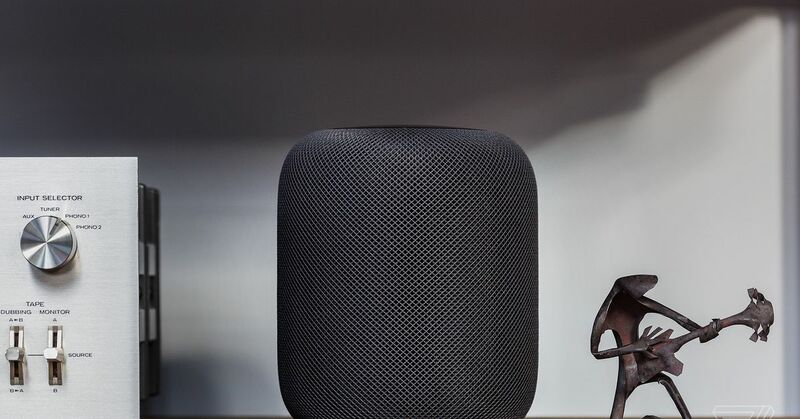 The grouped HomePod is displayed in Apple Music, iTunes, AirPlay, and anywhere else as a pair playing the content that you stream into stereo audio. The same limitations of multi-room AirPlay apply to a stereo-paired HomePod as to a single one that still requires Apple Music to get the most out of the setup. Finally, and I could not fully confirm this because I do not have a third HomePod nearby, you may also be able to get the paired stereo HomePod set with multi-room AirPlay 2 audio use wish. 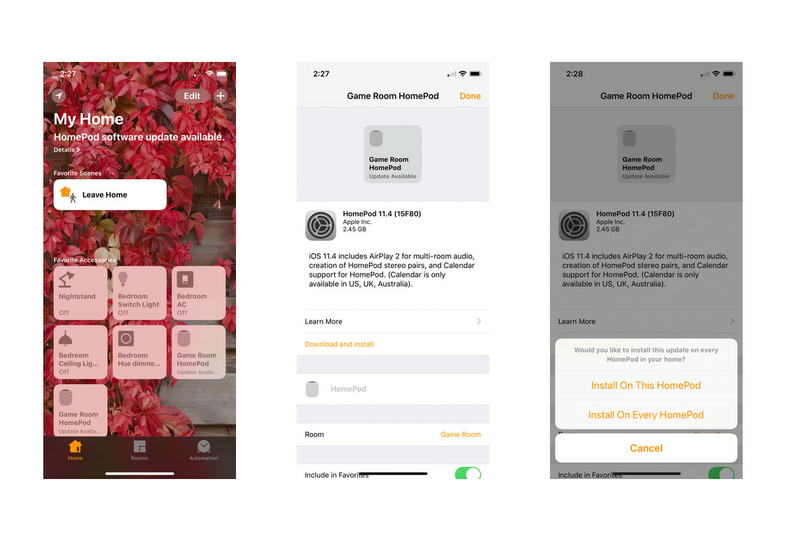 To unlock the stereo pair and reuse the two speakers independently, go back to the Home app, select the paired HomePods, and scroll down to select the Split Accessories button. You can pair again at any time by following the steps above.